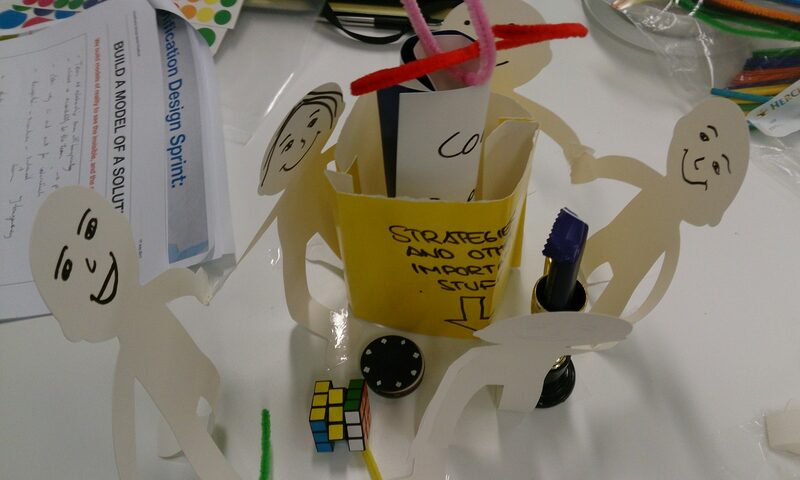 A Gamification Design Sprint is a high-energy, interactive design approach used for business problem solving and creating innovative product or service solutions. At the core of a Gamification Design Sprint is using an agile approach to developing a Minimum Viable Design, that incorporates systems thinking, game design and creative problem solving. Most importantly, the process is a playful and interactive ‘learning by doing’ experience. This workshop is suitable for organisational leaders looking to learn new tools and approaches to improve project innovation, engagement, motivation and productivity. The workshop will explore how, in an era of accelerating technological disruption, business leaders can build ecosystems of creative and playful collaborations between staff, customers and community to stay relevantand ahead of the disruption curve. This is a highly interactive, hands-on session and designed for you to walk away with the skills and a complete tool-kit that you can use in your own organisation. Your tool kit will include a workbook, design cards and a methodology to help you hit the ground running. Your facilitaor, Marigo Raftopoulos will also provide ongoing support with a bonus 30-minute follow up one-on-one session with you on applying what you have learned in your own business or organisation. Our approach, tools and methodology is the product of years of rigorous research and professional practice – we have run hundreds of design sprint workshops run around the world and this is the first time we will be running this workshop in Australia. Corporate strategy, human resources, learning and development, marketing, loyalty, service design, product development, customer experience, user experience, technology startups, community development, organisational creativity and innovation. Recent industries we have worked in include banking, finance, insurance, professional services, technology incubators and startups, and government services. A gamification design sprint usually runs over a week, however we have consensed this into a single day to give you an overview of the process, tools and experience. Morning and afternoon refreshments plus a healthy lunch are provided to keep you energised. We also are keeping the workshop small and intimate to optimise group learning outcomes. 1. Experience a one-day intensive gamification design sprint. 2. Learn about the methodologies, tools and processes of gamification and gameful design that drive innovation. 3. A workbook for you to keep, which includes a set of design cards on personas, superpowers, gameful design elements and ethics. 4. A 30 minute one-on-one session with your facilitator post workshop. I work with companies and organisations to optimise their digital innovation strategy. I do this directly through my advisory work, or through presenting at events, running private and public design workshops, and the publication of my peer-reviewed research. I have a demonstrated history of working in the business advisory sector. My focus has been in digital strategy development and implementation, which includes technology start-up development, innovation management, customer experience, and strategic design. I’ve been an entrepreneur and an innovator – so I understand what it’s like to start with a unique idea and help it gain traction. I have also worked with corporates most of my working life – so I understand what it’s like to see that elusive goal on the horizon and wonder how you are going to move your legacy systems and culture to reach it. I have developed a unique set of approaches and tools that can help. But you need to be progressive, forward thinking and dissatisfied with the status quo to get the most out of how we can work together. I’ve recently earned a PhD focused on using digital media (such as games and gamification) to facilitate enterprise innovation and development – and this only means that I have been able to put some science and rigor around leading practices to get your organisation working with the right tools so you can stay relevant in the 21st century.